Living trust are incredible tools for estate planning and cover a range of benefits from tax breaks and avoiding probate, to asset protection and management of assets at the end of life. Typically, placing real estate into a living trust is simple, but with a mortgage it becomes more complicated. To place the mortgage into the trust, consent must be attained from the lender instead of simply placing it in the trust when you control it. Lenders tend to be wary of doing this, as it transfers the mortgage liability from the person(s) who’s name is on the mortgage, to the trust itself. But this is not to say it cannot be done, and it is still a good decision to place a mortgage in a living trust if possible. In this case, the main reason to place a mortgage into a living trust is to avoid the hassle and cost of probate. All assets that have been placed into a living trust avoid probate, unlike the transfer of property through a will. In a living trust, assets are given by the grantor, and then distributed by the trustee. Probate will typically be a costly process and will take a toll both emotionally and financially on loved ones; by placing a home in a living trust this can be avoided. A secondary benefit is that if money is still owed on the mortgage, the property can be transferred without having to pay off the mortgage first. 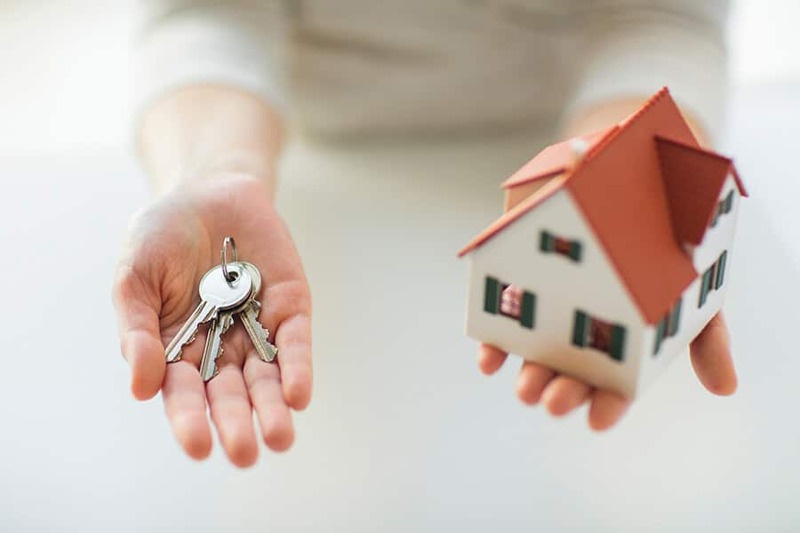 This way, your loved ones can decide whether to sell or keep the property without you having to liquidate any other assets to pay off the home that you may have want to leave to them. There are two types of living trusts, revocable and irrevocable, and both will offer different benefits. It will depend on each individual situation what option is best for you. Homes with mortgages attached may be placed in a revocable trust, and as the name implies, these trusts are changeable within the grantors lifetime. Grantor’s double as trustees on the trust, allowing for them to retain control and make changes on the trust. This maintained control allows for flexibility with the property, as you would be able to sell it or re-finance easier than with an irrevocable trust. When assets are placed in an irrevocable trust, control over the assets is removed from the grantor and given to the trust itself. Unlike the revocable trust, grantors are not listed as trustees and another party must be listed as such on the trust. To modify an irrevocable trust, all of the beneficiaries must agree to the changes, which removes the flexibility given in a revocable trust. Placing a mortgaged home into this trust is possible, but the grantor will no longer have control of the home. If one was to want to re-finance it becomes a more difficult task in an irrevocable trust, and the home could not be sold or removed from the trust. But there is are tax benefits that come with an irrevocable trust that may make it worth it to you. When the grantor passes, the home is in the trust and therefore not counted in the taxable estate upon death. First, you will need to contact the lender to ensure that they will allow for the process to take place. Local institutions, like a credit union, may be more likely to be supportive of this process compared to a national institution. The deed for the property will also need to be attained so the property can be placed into the trust, and typically there are documents that will be required by the area that you live in to do the transfer. Revocable trusts maintain your name, and most institutions will not have a problem with this type of trust. Second, the documents and deed will need to be prepared to transfer the property from you to the trust. There are legal documents available online for this process, and it is essential that the names of all parties involved are correct and listed on these documents. It is also critical that the language on these documents is correct as to stipulate that the trust is assuming the mortgage. Lastly, signatures from all parties, including the financial institution, will be required and must be notarized. The process for transferring a mortgage into a trust is a complicated one and making sure it is done properly is crucial. If you have any questions, contacting an attorney is the best way to make sure everything is done properly. If you are looking to establish a trust or modify an existing one with a mortgaged property, contact Susan Sandys to make sure it is done properly.